A homicide and weapons warrants were issued last week for Shawn Hartwell Jr. DOB: DOB-8/20/1988 aka ‘Tru’ for the murder of Montua McCloud which occurred at approximately 12:00am Thursday in Roselle. Shawn Hartwell Jr. is a known member and self admitted gang member of the Crips (Dirt Gang Set). The homicide occurred in the area of 1134 Warren Street Roselle. The arrest came after authorities recovered ample evidence at the scene and performed various analysis, according to Prosecutor Theodore J. Romankow. This investigation could not have been successful without the efforts of the Roselle Police Department, the Elizabeth Police Department, Union County Sheriff’s ID Unit, Union County Forensic Lab, Union County Police Ballistics Unit and the every member of the Union County Homicide Task Force. 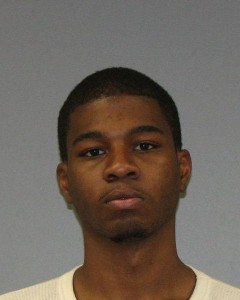 Shawn Hartwell’s bail was set at $2,000.000.00 (cash only) by Judge Frederic McDaniel. The Defendant is being held at the Union County Jail.